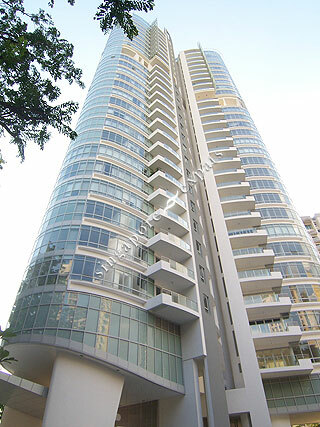 Newton One is a freehold 91-unit condominium located at the junction of Newton Road and Dunearn Road. Its unique architecture with a rounded three-winged configuration stands out from the other developments in the prestigious Newton residential area. The layout of the apartments in Newton One is thoughtfully designed to ensure unobstructed views of greenery and panoramic city skyline from every room. All apartments in Newton One are beautifully-crafted with the finest fixtures and fittings, coupled with a private lift lobby, separate dry and wet kitchens and superior cross-ventilation with a continuous undulating curtain wall. Newton One is situated within the Novena precinct, where some of the city’s finest restaurants, famous eateries, spas and entertainment can be found. Novena Square and United Square, two fabulous shopping malls will meet more than just your day-to-day needs. Amenities including supermarkets, fashion boutiques, cafes, banks, clinics, salons and other essentials are just around the corner. Newton One is also within walking distance to the Newton and Novena MRT Station which are just two to three MRT stops from the popular shopping and entertainment haven at Orchard Road. Reputable schools such as St Michael’s School, Anglo-Chinese School (ACS Barker) and Singapore Chinese Girl’s School are within close vicinity of Newton One, not to mention prestigious clubs like the Tanglin Club, The American Club and Singapore Island Country Club. Newton One’s proximity to the Pan Island Expressway (PIE) and Central Expressway (CTE) also ensures easy access to all parts of Singapore. Super close to Newton MRT interchange. 1 stop to orchard and its so easy to go to Marina Bay now with the new Downtown Line.